"Scary Movie 5" actor bailed out his costar, Sheen's rep tells E! News. 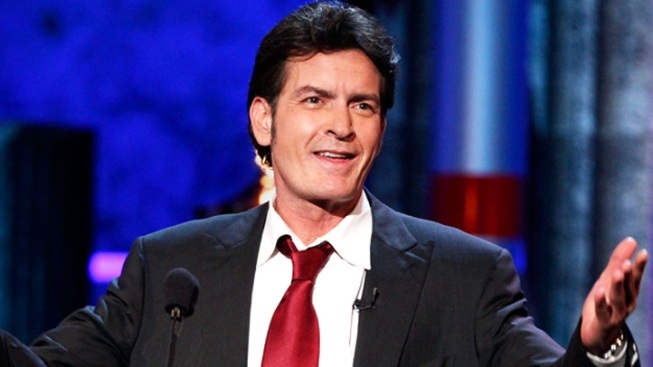 Charlie Sheen gave Lindsay Lohan $100,000 to cover a tax debt, according to Sheen's rep.
Angus Jones is namedropping Jesus left and right these days, but it's his former "Two and a Half Men" costar Charlie Sheen whose selflessness would really make the savior proud. The "Anger Management" star gave Lindsay Lohan $100,000 to cover her tax debt, Charlie's rep confirms to E! News. The "Scary Movie 5" star "has a long history of helping out his friends in many ways, and this is just another example of that," his rep added. Hear more from Angus about why he thinks "Two and a Half Men" is "filth"
And helping out LiLo isn't the only generous thing Charlie's done lately. According to TMZ, the Tiger Blood connoisseur donated his entire $250,000 "Scary Movie 5" paycheck to three different charities.